Learn about our past-year successes and ongoing commitment to enhanced service, safety, and customer experience. 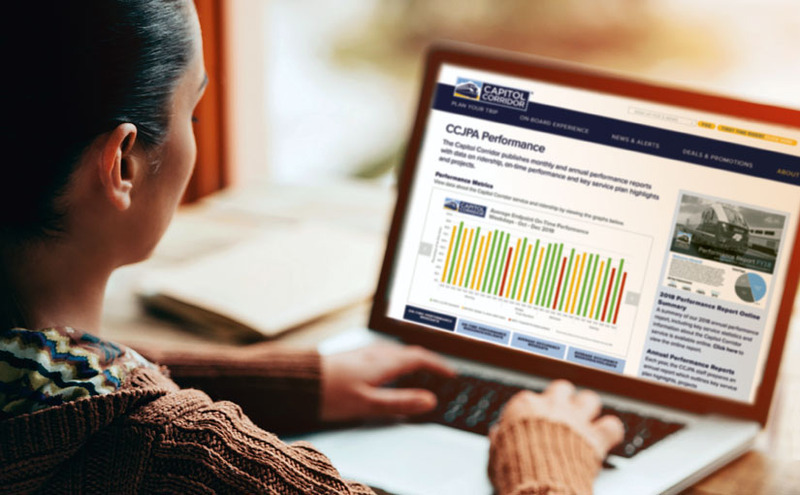 View our updated Performance page for additional useful information, like which trains have the best on-time performance and seat availability. 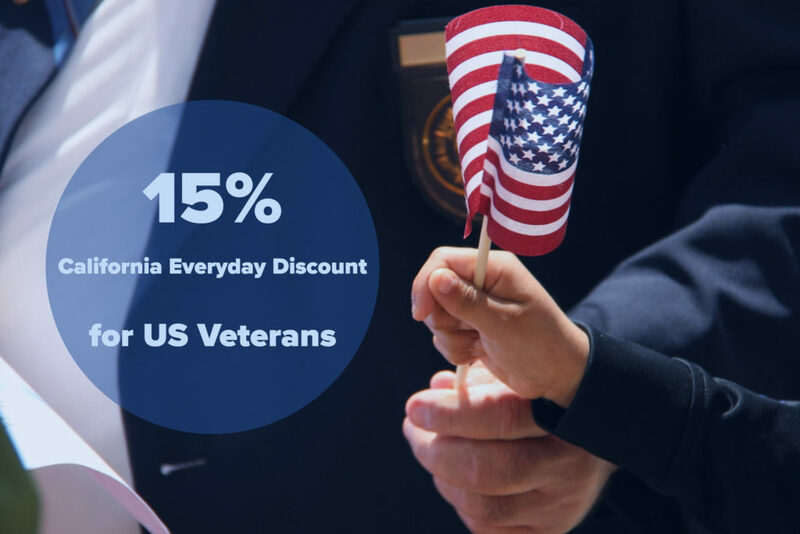 In honor of their courageous service, US Veterans (and their spouses and dependents) now receive a 15% fare discount on travel when booking through the Capitol Corridor website. The Veterans’ Discount is part of our California Everyday Discounts program, also available to active duty military, seniors, students, and passengers with disabilities. 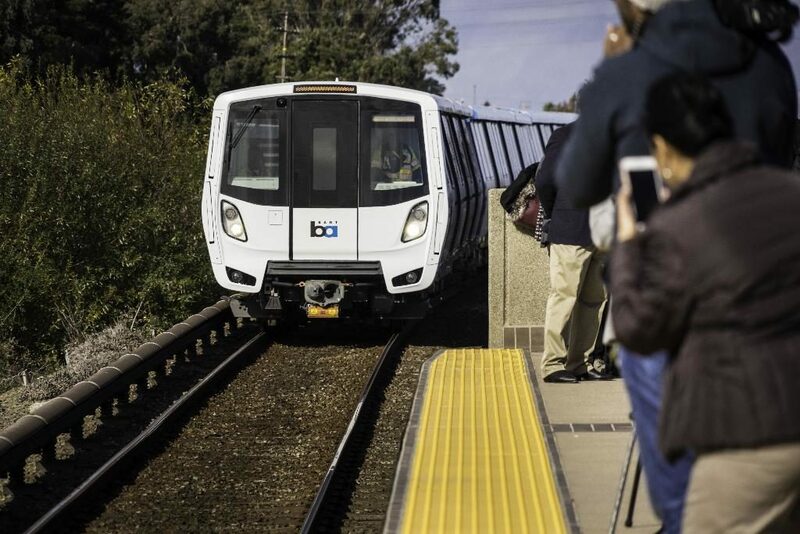 On February 11, 2019, BART will be implementing a new schedule that includes a later weekday start time and limited transbay service on Sundays. If you ride BART, you’ll want to keep these changes in mind. Thank you to all those who participated in our recent Business Plan workshops, both onboard the train and via our first Facebook Live broadcast. We have been reviewing and incorporating the public’s comments, and will make the final Business Plan document available on our website later this month, after receiving approval from the CCJPA Board of Directors. 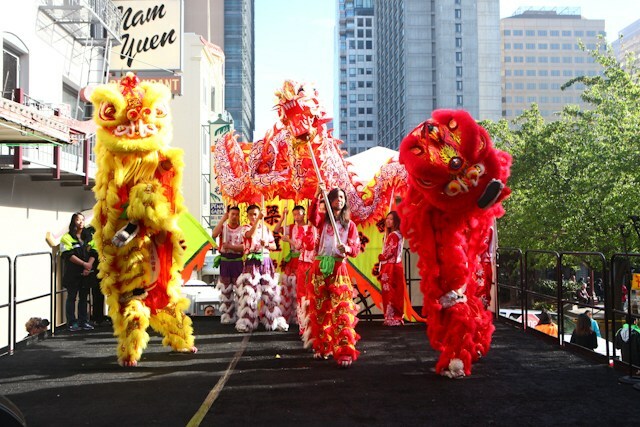 February may be the year’s shortest month, but if you’re a fan of parades, cultural events, the Giants, wine, and chocolate, there’s no shortage of excitement along the Capitol Corridor this month! 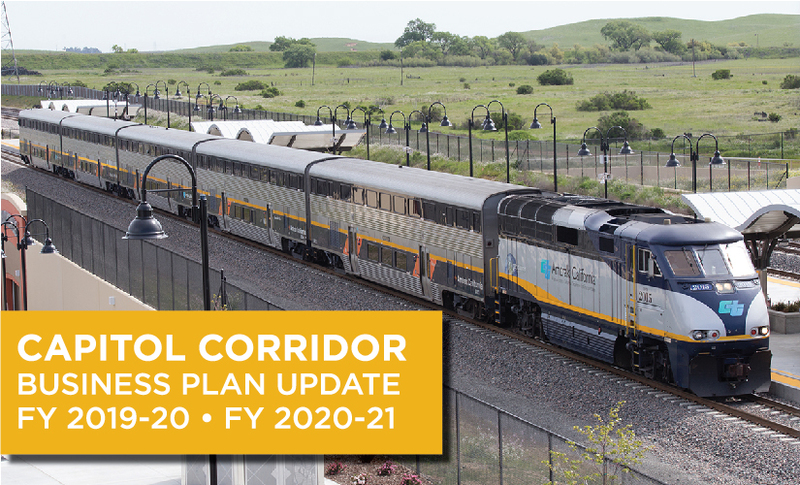 If the Martinez Station is part of your Capitol Corridor travel, we want to remind you that County Connection buses stop right there and are free with a Capitol Corridor Transit Transfer. 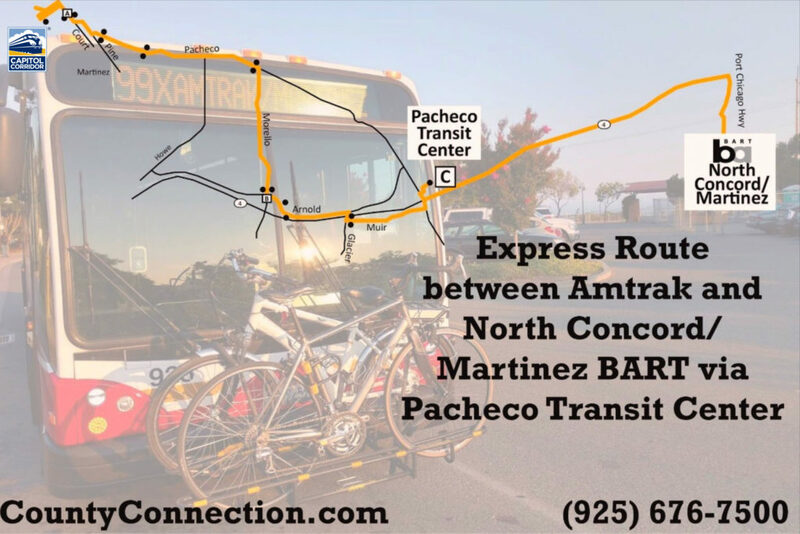 Introduced in the fall of 2018, County Connection Express Route 99X offers service between the Martinez Station and the North Concord BART Station.